Grammar and punctuation are essential tools for writers. They’re an integral part of a writer’s skill set. They require attention from new writers and familiarity from experienced writers. Grammar and punctuation are not the meat of your work, but they’re the framework that holds your work together. If you want to communicate, they’re critical components of writing. Making your meaning clear goes beyond just vocabulary. Anyone can string a bunch of words together, but a string of words doesn’t make a manuscript. But words that make sense, make connections, and make a reader think or feel will hook a reader’s interest. Grammar & punctuation are two of the tools of a writer’s trade. You should know how to use them and look for clever ways to put them to work. You should know when to choose one grammar rule rather than another, and how punctuation would affect the clarity and impact of a sentence or phrase. You need to know what both correct and incorrect grammar will achieve and what will happen when you don’t use standard or expected grammar or a typical punctuation mark. 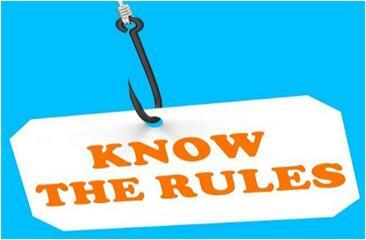 This is where knowing the rules can reduce mistakes. Grammar & punctuation are like the rivets in the structure of your writing. So, it’s to your creative benefit to learn how to use, for example, commas, semicolons, dashes, parentheses, ellipses, etc. You can do that online or you can buy a new grammar book once in a while and read it cover to cover. Brush up on modifiers or phrases in order to see that there are other ways to craft a sentence or a phrase—other ways to create an impact. But here’s no need to be perfect. Don’t get so hung up on grammar & punctuation that your creative writing gets impacted. However, you do owe your readers a clean, polished manuscript. Therefore, you should do some critical editing after the creative part is finished. You can then clean up grammar & punctuation errors. Be sure to allow time in your writing schedule for that task. Knowing the rules means that you don’t have to be afraid to take chances. If you know why you’re doing so and understand the consequences of choosing an odd grammar construction or an unusual punctuation mark, you’ll be okay. Unusual grammar or punctuation can let you create some interesting phrases, rhythms, and meanings. While you don’t have to know all the grammar & punctuation terminology, you should know how to use the rules. This will expand your options and strengthen your writing style. Use grammar & punctuation to present your work with the strongest possible foundation. The more ways you can craft a sentence or phrase, the more writing potential you’ll have at your fingertips.